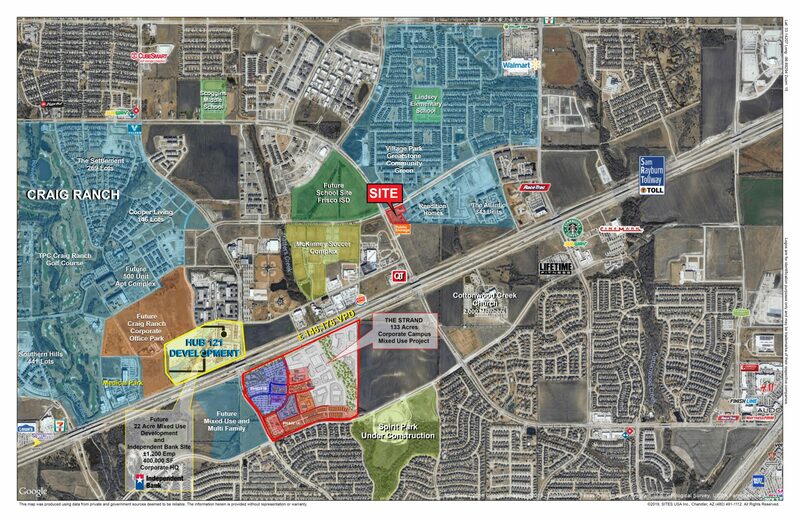 New Retail Center being built in McKinney, TX. Located on the hard corner across from the Future Frisco High School site coming in 2020. Close proximity to Sam Rayburn Tollway and Hwy 121. Also located near The Strand and Hub 121 both with over 100,000 SF of office mixed with single and multi family units.